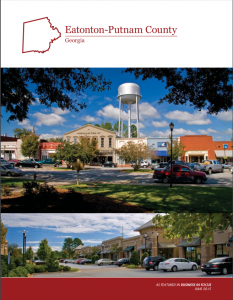 The Willson Center for Humanities and Arts at the University of Georgia invites you to a reception at the Plaza Arts Center at 305 N Madison Ave. in Eatonton, Georgia, on the evening of Thursday, March 29 at 7 p.m.
RSVP to Winnie Smith at wsmith78@uga.edu. The reception is a benefit to raise matching funds for a $100,000 grant awarded by the National Endowment for the Humanities to the Willson Center and its partners for the community project “An American Literary Landscape: Life, History, and Memory in Putnam County, Georgia.” The support of the NEH recognizes the innovation and excellence of this nationally significant partnership with the Putnam County Charter School System and other local groups in collaboration with Georgia Humanities, the UGA Libraries and the UGA College of Education. The NEH-supported program aims to expand the diversity of the voices and stories of Putnam residents through the collection of oral histories, the creation of related visual and performing arts, and the development of a robust K-12 curriculum that engages with those resources. Its core activities are rooted in the partnership between students and teachers in Putnam County and the Willson Center. 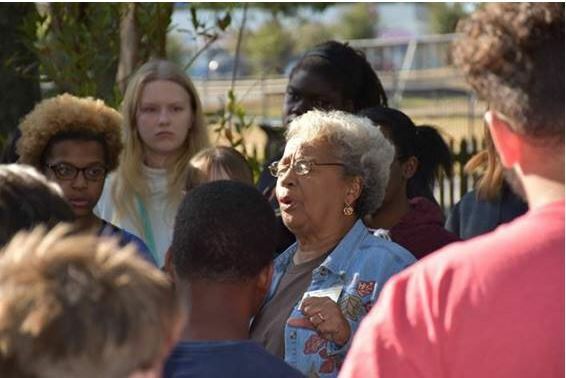 The NEH previously awarded a grant to the Willson Center for “Sharing Our Stories,” a 2017 oral history project in partnership with Putnam County Schools, the Georgia Virtual History Project, and the Georgia Writers Museum. To make a donation in support of this community partnership, please email Winnie Smith at wsmith78@uga.edu.